awesome i'll have to check this out on monday when im back in the school lab and after i write a midterm in this class. I also switched my squid proxy authentication over to ldap. I've been wanting to do that for a while now. Alright, now I am pulling my hair out!! I was able to get SSL working on the fedora-ds installation on my local laptop yesterday but I have yet to be successful in getting it to work on the installation at home on my Myth box. I don't know what magic I did on my laptop to make it work but I just can't get it to work at home. I seem to be able to run the script to create the certificates and even get to where I think I have it configured for SSL but I'll end up with a self signed certificate error when trying to use an ldap client. I have started from scratch several times and at then end have been met with a seemingly different error each time. So close yet so far... Non-ssl directory access works perfectly. I think I figured out what a lot of my problem was. I was using the ldapsearch tool to do some test queries and editing the /etc/ldap.conf to configure how those ldap tools (and PAM) worked. I realize now that there is another ldap config file in /etc/openldap/ldap.conf that had conflicting settings. Hopefully tonight that will prove to be the answer to my frustrations. strace to the rescue again! Yep, that was it. I think I had it working before but the two different ldap.conf files threw me off. It seems /etc/openldap/ldap.conf is the configuration file for openldap (and client utilities ldapsearch, etc) and the /etc/ldap.conf is for the nss_ldap package which provides LDAP pam access, etc. I am not sure but I think you could just sym link one to the other unless you wanted different ldap settings for authentication than you would for the utilities but I am not sure why you would want that. IMPORTANT NOTE 1: It's supposed to import the passwords as well but for some reason the passwords didn't make it across properly and I had to reset them in the GUI. Not a big deal at home where I only have a handful of users but if I were doing this in a production environment I would have to figure out and fix that issue. Same thing, change fds.voidmain.home and voidmain.home to whatever your host/domain are that contain your directory. Now a user doesn't even have to have an account on the actual machine to log in if that machine has it's passwd, shadow, and group files mapped. - you'll want to make sure you don't have clashing UID and GID numbers between the directory users and the local passwd and group files. - I'm not sure what the best method of creating a new account would be. I normally just use the "adduser" command on standalone machines. You would want a similar command that adds a user to the directory with a unique UID and GID and optionally add that to the local passwd and group files and create the home directory for the user on one or more of the machines you have participating. What I did in the old days of NIS (YP) is to use NFS and automount. You had a master server where everyones home directory actually resided and then it would get automatically NFS mounted on any other machine they logged. That may or may not still be the best way to do it. I guess it will depend on the environment that you are setting this up in. If all the machines are configured identically and any user could use any one of them at any time that may be the best way to do it (automounted home directories). It seems to be very flexible in that it's not all or nothing. That is you don't have to map the passwd and group files and can set up for authentication only. Or you can just use it as a regular ldap server. The directory can obviously be used for much more than user authentication. I also pointed my Evolution address book to it and you can use it like any other LDAP database. I also am doing my squid authentication against the directory using squid_ldap_auth (included with the squid server). I also have yet to set up a secondary server that will sync with the primary. I think that's the next thing I need to work on. That's all for now. It almost looks like a first step to my next Fedora tip. After learning more about Fedora Directory server I might just see about implementing this at work to better manage all of our Linux, Solaris, and AIX servers. I've actually been working on setting them up with Radius authentication against our Cisco Secure ACS servers which will be backened with AD accounts for encryption capable devices and servers and two factor RSA SecurID authentication for devices not encryption capable. I think Fedora Directory Server would give us a much more manageable environment than just centralized password management. Another note to self. I was having issues getting SSL working on my home Directory server's admin console. Every time I tried to enable it I would get some sort of error about PSET something or other. I couldn't find a lot of information on that error but I ended up figuring out it was a client problem and not a server problem. I was running the Console client on my laptop and connecting to both the Directory installation on my laptop and the director installation on my myth box. I think there was some sort of clash with the certificates but wasn't obvious by the error messages. At any rate the Console client caches certain information like server certificates in the ~/.fedora-console directory. I just deleted that directory and restarted the console and then was able to configure the server for SSL and was prompted to accept it's certificate. I'm going to have to pour over these notes when im actually on a Fedora computer. So far i got fedora-ds and the admin console working. I havent added any users yet, only browsed around. in regards to keeping UID/GID from clashing. I was reading an article by someone using OpenLDAP and they reserved UIDs 1500-2000 for LDAP users and used 1000-1499 for local users or something to that effect. Yeah that's a good way to do it. 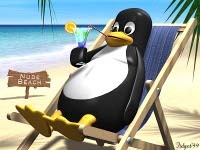 I did it similarly in the NIS days and I also use a very high range of IDs when auto-creating local users when Samba connections are made to Linux PDF print servers I have set up. I'm sure you know this but It still can get tricky even with local users because if you use NFS you want to make sure your local users have the same UID/GIDs on any machines they have accounts on. Otherwise on one machine Fred may own data that Sally owns on another machine. Just things to keep in mind to prevent future clashes. Basically it's as simple as clicking on the "User" menu and selecting the "Change Directory" option and replacing "o=NetscapeRoot" with "dc=voidmain,dc=home". Now I can search my users and groups from the main console page. I think that it was originally the netscape directory server... which branched into OpenLDAP and Sun's server, and FDS is based on OpenLDAP. Would you know what the o=NetscapeRoot is for? Is it used for configuration stuff or something? I've managed to get it running, and a user added. But it doesnt authenticate my user when i try to login. This is after enabling LDAP under System > Administration > Authentication.